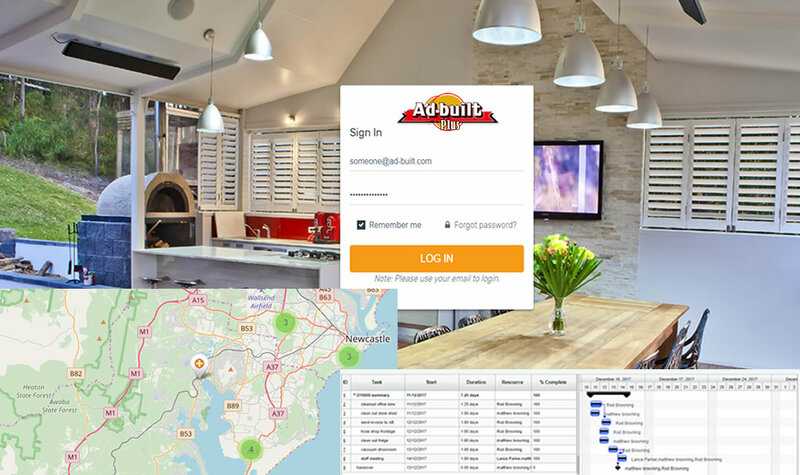 Ad-built are industry leaders when it comes to kitchen and bathroom renovations, home extensions, as well as commercial fit outs. They pride themselves on having over 2,500 successful projects in their portfolio. However, to achieve such success the Ad-built team are required to stay in constant communications with their staff and subcontractors, to determine the current status of all their projects. A time consuming task, that distracted their resources from other operational requirements. 152hq were engaged to provide a software package that would fully automate the day-to-day operations of administrating Ad-built's projects and resources. The software package integrates our current Take2 risk management system, scheduling, document management, project filing, automate messaging driven by the live schedule, real time location recording and progress updates, live chat/instruction sessions, push notifications and much more.